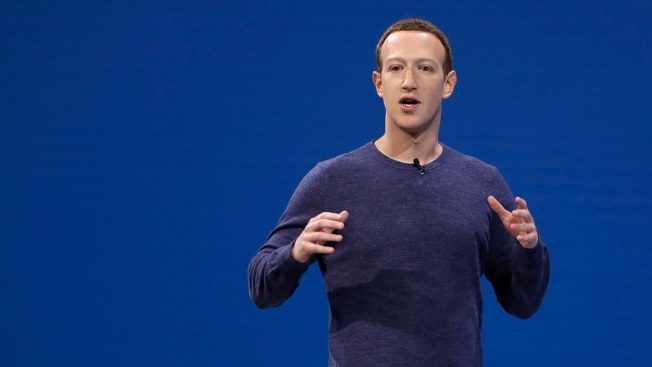 In this May 1, 2018, file photo, Facebook CEO Mark Zuckerberg makes the keynote speech at F8, Facebook's developer conference in San Jose, Calif.
Facebook CEO Mark Zuckerberg said in a podcast interview released Wednesday that his social network does not remove posts that deny the Holocaust because the company wants to allow its users to make unintentional mistakes, NBC News reported. Zuckerberg volunteered the example of Holocaust deniers unprompted in the middle of a discussion on the Recode Decode podcast about Facebook’s role in the spread of hoaxes and false news stories. “I don’t think that they’re intentionally getting it wrong,” he continued, before the interviewer, Kara Swisher, interrupted him. “In the case of the Holocaust deniers, they might be, but go ahead,” Swisher said. Zuckerberg backtracked later on Wednesday, saying in an email to Swisher that he did not mean to defend the intent of Holocaust deniers, according to a copy of the email posted by Swisher.